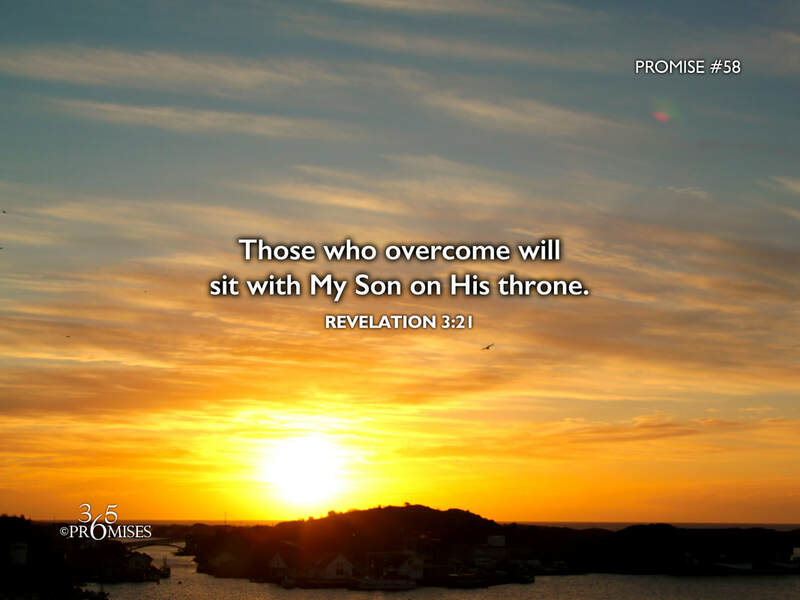 as I also overcame, and sat down with my Father on his throne. The atonement that we have in Christ is absolutely amazing! When Jesus died on the cross, He exchanged His life for our life, so that His Father could become our Father (John 20:17). In today's promise, we read that Jesus tells the church at Laodicea... That those who overcome will sit with Him on His throne just as He sits with Father on His Father's throne. May the Holy Spirit give us eyes to see and ears to hear what the Spirit is saying in today's promise. May we know the height and depth of our glorious inheritance in Jesus Christ and the many promises that are ours because of His sacrifice for us. One day, we will sit with Jesus on His throne. Hallelujah! What a day that will be!